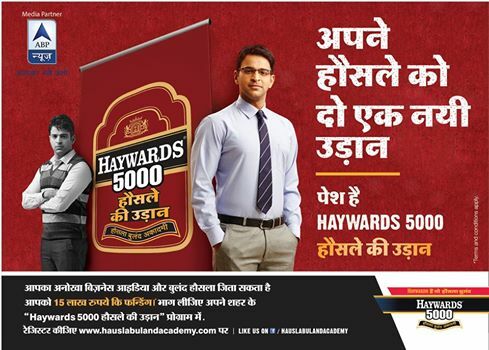 Hauslay Ki Udaan is a start up challenge by Haywards and media partner ABP News. Startups with a business idea at the ideation stage or generating revenue are invited to present their business pitch at the start up challenge being held across ten cities in India. We would be conducting audition in 10 cities across India. i.e. Pondicherry, Secunderabad, Amrawati, Nagpur, Gurgaon, Rohtak, Hisar, Mohali, Ludhiana and Amritsar. Each business idea will be given 5 minutes i.e. 3 minutes for presentation and 3 minutes for question & answer by the judges. 1 Winner will be selected from each city who will compete in mega finale in Pune. A three panel judges will be select 1 winner from each city.